Repairs start at $69.99 and come with a 90 day warranty. We fix all makes and models and generally have a turnaround time of 2-3 business days. No appointment needed, just bring in your machine and drop it off today. 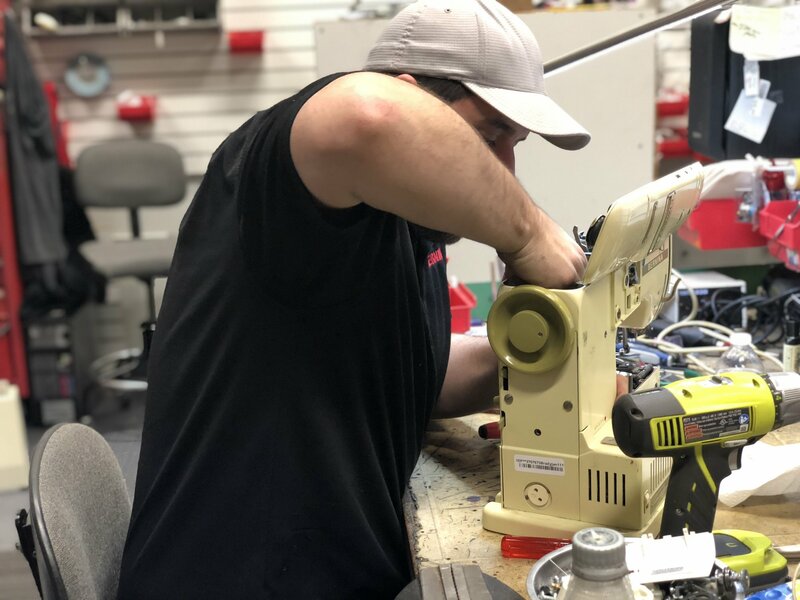 We need you to bring your foot control, power cord, bobbin case, and presser foot in with your machine.